Reading a lot has never been my thing. Listening to books and podcast, however, is a complete addiction of mine. I listen wherever I go and whenever I train, except when I am swimming, which demands too much concentration. These are my favourite podcast for triathletes. Note that my preference is the in-depth talk of one single subject or person where my goal is to learn or get new perspectives. Rich Roll – My absolute favourite and listening to his podcasts changed my life and how I view the world. He interviews the world’s most fascinating people who share great stories, perspectives and knowledge. The conversations are long, deep and meaningful. Begin with episode 379 – with John Mcavoy and work your way thru. I have enjoyed a lot of the podcast but loved the talk with Yoval Noah Harari, The Happy Pear, Kilian Journet, David Goggins, Wim Hof, Nimai Delgado and Damien Mander. A tip, just jump to about 10 minutes to skip the ads. FLO Cycling – Not triathlon specific but the wheel builders at FLO has a great podcast series interviewing the experts on one interesting topic at the time. Purple Patch with Matt Dixon – Coach Matt Dixon is one of the most renowned coaches in triathlon, and not without reason. The podcast is made for the “time-starved” triathletes, which is typically everyone except the few pros who are in the position to do nothing but train. The Fat Black– A long-lasting podcast running for more than 5 years, but new to me. I just started listening too it and loved his talk with the very interesting Cody Beal. That Triathlon Show – I found this podcast very recently but liked it in a similar way as the FLO Cycling podcast. It’s normally one topic at the time talking to an expert on the field. VeloNews – Not triathlon specific but cycling is a big part of triathlon and they share relevant information both regarding technical topics, training and nutrition. Ask a Cycling Coach – TrainerRoad – It is a good podcast especially in regards of training. They cover a variety of topics and explain training principles in an understandable way. They also answer questions. I would prefer if they kept it to one topic for each podcast, but I understand that is not everyone’s preference. 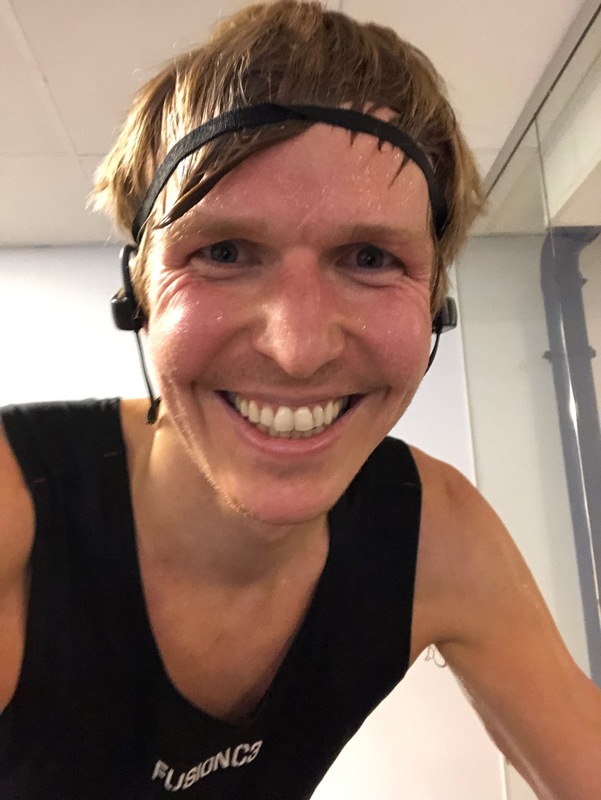 Triathlon Taren – He is a funny and a bit nerdy (like most of us) guys in triathlon, but his non-triathlete girlfriend balance it out and makes a great sidekick. I would prefer his youtube videos to go more in-depth, like his podcasts. Work, Play, Love with Lauren Fleshman and Jesse Thomas – Jesse Thomas is probably the coolest and funniest guy in triathlon (yeah, man crush alert) and Lauren is his much more known wife who also is a former pro runner. Their podcast is fairly new to me but they have gone thru a lot of different experiences, both as professional athletes, starting a business (Picky Bars) and raising a family. Zen and the Art of Triathlon – Have not heard enough of it to give a good revied, but I saw it had some interesting topics I would like to check out. Swim Smooth – A swim specific podcast with a lot of topics relevant to triathletes. Tower 26 – Another swim specific podcast with the main focus on triathletes. Tri Swim Coach Triathlon Swimming – A third swim specific podcast focusing on triathletes. The Adelaide Podcast – This is the podcast to my mental coach Adelaide Goodeve. It already has great stuff on it, but the new season will soon roll out and I believe I am also interviewed in one of them. I understand that what type of podcast you like is highly individual. There are a lot of great podcasts out there! Have a look at the ones on my list and see if you find anything you like. If you think I should have other podcasts on my list as well I would love if you dropped it in a comment below.